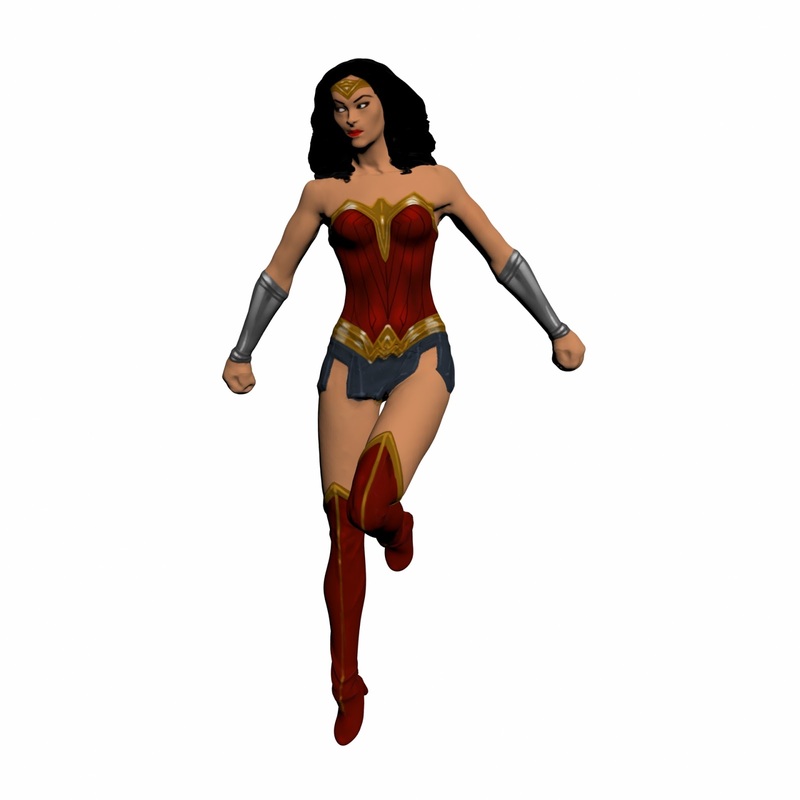 Pretty Woman or Wonder Woman? Whenever I talk about process, I like to think of myself as The Process Girl, kind of like Julia Roberts was The Safety Girl in Pretty Woman. I know, pretty presumptuous of me, but I can dream. After this week, I am thinking of myself more like Wonder Woman, but with a big P on the chest of my costume. Why the change? Well, in Pretty Woman, Vivian was The Safety Girl more as an incidental part of what she did. The letter on the chest of Wonder Woman's costume reflected the innermost essence of what she was; and that's how I feel about process. I can deal with being Lynda Carter too. 5. Evaluate the possible solutions in order to meet resolution. We call the five steps of the process different things depending on what kind of dispute resolution method we use. The steps may take different formats. But, and this is a big but, you MUST go through all the steps in order. Sure, sometimes we need to circle back based on what information is discovered, but the steps are always the same and in the same order. You cannot shortcut it - EVER. Here's what happens when you try to shortcut the process - people get upset. They get really upset. and they get derailed You see, the steps of the process have multiple purposes; perhaps the most important of which is that it forces people to disengage their reactive, primitive reptile brain and engage the more evolved, rational part of their being. In other words, the steps of the process help folks be less emotional because they are focusing on something concrete. It helps people operate from a place of fact and information and not simply pain, shame and disappointment. It's empowering to be fully informed, and jump starts the analytical brain so people can make their own decisions. Twice this week, clients attempted to shortcut the process; it wasn't pretty and it wasn't productive. Reminding people that there is a process, that we will get to where they want to go, and letting them know when that will be, is tremendously reassuring. Once clients know their concern is on the radar, that it will be addressed and when, they can relax. That helps motivate them to gather and synthesize information and make decisions. That's the beauty of the process. It's why I'm The Process Girl. Here in the Trenches. Is Divorce Like a Trip to Disney? You know I'm a bit of a Disney geek. We go every February for the Princess race weekend. When I lived in Florida, we went a few times a year. This year, I'm going with the ladies here in the Trenches. When I plan the Princess weekend, I plan the weekend. I do it all. It is exhausting work. I call Disney. I spend interminable hours on the phone with their customer service. I arrange the dining, the rooms, the transportation, the park tickets. Even though I love planning the trip, there is no one to share the burden of the details. There is no one to help me vet all the choices. It's taken me years to learn everything I know about planning a Disney vacation. What you may not know about Disney is that they are remarkably bad about sharing information with their customer service representatives. Many times, I know more than them. They are not told when certain tickets will become available, or when certain discounts hit their servers. They don't know about all of the special events available to guests. If you're lucky and get one who has been there a while, they have some first hand knowledge of the resorts, but mostly, you're on your own. Yes, they are wonderfully nice and try to be helpful, but by and large, the customer service representatives aren't given the facts they need to really, really help you, as opposed to just making your reservation. So, for me, it can be lonely and stressful to make all the plans. Don't get me wrong, I love the research, I love making the plans; it's just a bit overwhelming. For this Fall's trip, I decided to try DVC Rentals. They sell people's Disney Vacation Club (timeshare) points to folks like me. You rent a vacation club lodging by buying their points. It is supposed to be somewhat cheaper than renting a hotel room at the same resort at Disney, and as I love their deluxe resorts, saving money is good. Any way, I contacted them. Lauren Enochs answered my inquiry. I explained my requirements; she made suggestions as to appropriate lodgings, based on our needs, availability of the lodgings, and type of resort. She helped me compare choices. I made my choice and made a reservation. Work done, right? Wrong. Lauren sent me an email when it was time to make my dining reservations, so I wouldn't miss out. She answered my email about the dining plan (on a Saturday, no less). She obtained a quote for me for park tickets. She arranged my transportation from the airport. All I had to do was email her. No hours on the phone with Disney. No waiting on hold. I felt like a huge weight was lifted off my shoulders. I could focus on making this the best trip ever, as opposed to dealing with the minutiae of the logistics of getting us there and sheltered. My goodness, what a difference it made having Lauren there. Even though I knew what to do, it was so much better to share the chore with someone I could trust to know at least as much as I, if not more. I will never plan my Disney trip alone again without my guide. Getting a divorce is kind of like planning a trip to Disney. Sure, you could do it yourself. It will take you years and years of research to learn all of information you need to know to make an informed decision. It will take over your life. Maybe you won't understand everything you learn. You need a customer service representative to help you. The trick is to find the right representative. You could call around and find an attorney. Maybe you'll be lucky and find one who has been around a while and knows the lay of the land and the latest developments in the law. Maybe you'll get someone who doesn't, and if that's the case, the stress you feel in dealing with your divorce or custody matter may not be relieved. You'll sense there is something more, something you're not getting. You wonder if you're getting all you should. What you want, what you need, is a Lauren. You need someone who knows the law, knows the ropes. You need someone who tries to understand you, tries to understand what you need. You need someone who speaks your language, who makes you feel safe and cared for. When you find that lawyer, that is the lawyer for you. You may have to go through a lot of interviews with a lot of customer service representatives lawyers before you find that one, or maybe you'll find them on the first try. Either way, it makes a huge difference in your time in the Trenches and your life afterward. Here in the Trenches. Have You Checked Your Facebook Lately? I'm down here in beautiful Savannah, enjoying continuing legal education and the company of my colleagues and friends from around the country. One of my friends commented that my blogging has been a bit spotty over the last few months, and he was wondering what was up. This friend rarely "likes" any of my posts, and doesn't comment; he describes himself as a lurker on my blog. I knew he read my blog on occasion, but until he told me this, I was not overtly aware that he was a regular reader. I'm not only attending this conference, I am also presenting. My topic is locating the military servicemember in order to start a family law case. One of the methods I talked about was seeing if the servicemember has a Facebook page, Twitter account, or other social media account. Lots of folks have them, and usually they have them well prior to a family law case being commenced. Part of having these accounts is adding "friends" and building a community of contacts. Most people never look at their friends list after they have added people to the list. Some people never even set their privacy settings. As a result, unless someone "likes" their posts, most people don't remember who is on their friends list, and thus, who has access to the information on their social media pages. Many times, their spouse, friends of their spouse, family of their spouse, friends of friends of their spouse are seeing everything posted, and only if they're stupid are they "liking" or commenting online. I know I have 237 friends on Facebook, and maybe fewer than 10 ever comment on or "like" my posts. That means 227 people are seeing what I'm putting online, and saying nothing. If my privacy settings weren't enabled, the world could see what I post. Wow, what a treasure trove of potential evidence exists online! As a attorney, I'm not allowed to create a phantom profile in order to be "friended" by the opposing party. I am also not permitted to tell a client to remove their social media pages, because that would be destruction of evidence. In light of all of the above, what am I telling you? Periodically review your privacy settings. 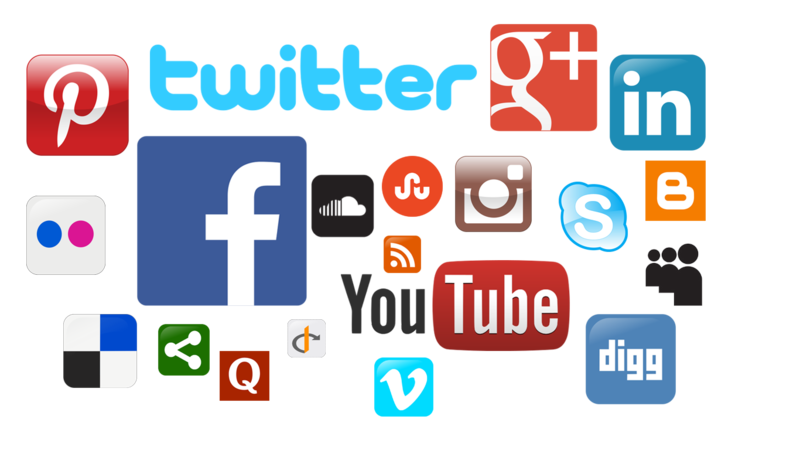 Periodically review who you have allowed to view your online social media, and edit it when there is a major life event that affects your social network and familial ties. Be judicious about what you post online; don't post it if you don't want it to be the subject of your deposition or brought up in testimony in court. Remember that everything you say can and will be used against you in your custody or divorce case. Let the poster beware. Here in the Trenches. case, it is not legal advice: Karen Robbins does not have an attorney-client relationship with you. The thoughts and commentary about the law contained on this site is provided as a service to the community, and does not constitute solicitation or provision of legal advice. While we endeavor to provide accurate information at this blog, we cannot guarantee that the information provided here (or linked to from this site) is accurate, complete, or adequate. We provide this general legal information on an ‘as-is’ basis. We make no warranties and disclaim liability for damages resulting from its use. Legal advice must be tailored to the specific circumstances of each case, and laws are constantly changing, so nothing provided at this site or in the accompanying podcasts, should be used as a substitute for the advice of competent counsel. All of the content on this blog, unless otherwise noted, are mine. Ask before taking. Ethereal theme. Powered by Blogger.